Bedros Keuilian, business coach, marketing consultant, and CEO of the most popular fitness boot camp franchise in country, released a list of strategies that he claims are responsible for his success. Your best should always be yet to come. 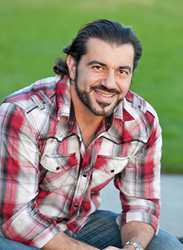 Bedros Keuilian has made it his life’s work to give others the tools and strategies required to become successful. He is a highly sought after business coach, and well-known marketing consultant within the fitness industry, and the host of multiple business seminars that teach the secrets of successful business operation. Keuilian has recently released a list of his 21 secrets to person success. These “Mindset Life Hacks” as he calls them, are designed to show any individual in any industry or endeavor, just what it takes to achieve success. We’re all given 24 hours in a day, but some people get a lot more productivity in than others and end up achieving their life goals soon. The secret to success is managing your time and learning to shut out distractions, negative thoughts and people so that you can focus on the things that matter. Your best should always be yet to come. The message behind this is simple, always stay a student. Keep learning. Always grow. Kaizen. Your best days aren’t behind you; they’re yet to come. Don’t rely on people, accomplishments, or random circumstances to keep you motivated. You’re going to hit long periods of difficulty or even failure. The only way you’ll ever push past those discouraging moments is by keeping yourself motivated and on track to success. It isn’t just about setting goals; it’s about setting the right goals. You may be headed in a direction, but are you sure it’s the right one? What’s really best for you? For your family? For your business? Don’t steer them wrong with an absolute laser focus on what you don't need. Every time your work meets your highest expectations, double them. Never let yourself settle into good when you could keep pushing for better. Recognize your accomplishment, then find out how your next task can accomplish even more. To read the rest of the 21 tips, visit RenegadeFitnessMarketing.com and find out exactly what Keuilian used to become a highly successful multi-millionaire. Keuilian Inc. (est. 2007) was founded by fitness marketing and business consultant Bedros Keuilian, who has been named the “hidden genius” behind several of the biggest names in the fitness industry. In addition, he is also the founder of the popular fitness marketing blog, RenegadeFitnessMarketing.com, and founder and CEO of the indoor fitness boot camp franchise, Fit Body Boot Camp.